This book (English Springer Spaniels) provides you with a through description and positive attributes of this breed including origin, purpose, history, normal heights and weights, acceptable colors and behavioral traits. Our books differ from most books on dog breeds because this book also provides you with a comprehensive and authoritative source of all the known predisposed hereditary health syndromes for the breed. You will find extensive references for each problem described. We also provide the breed club address for this breed and a list of laboratories and organizations that can provide professional help and information. 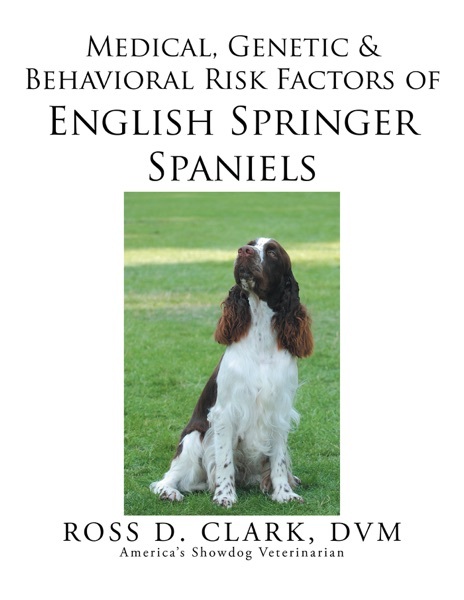 Behavioral, English, Factors, Genetic, Medical, Risk, Spaniels, Springer permalink.